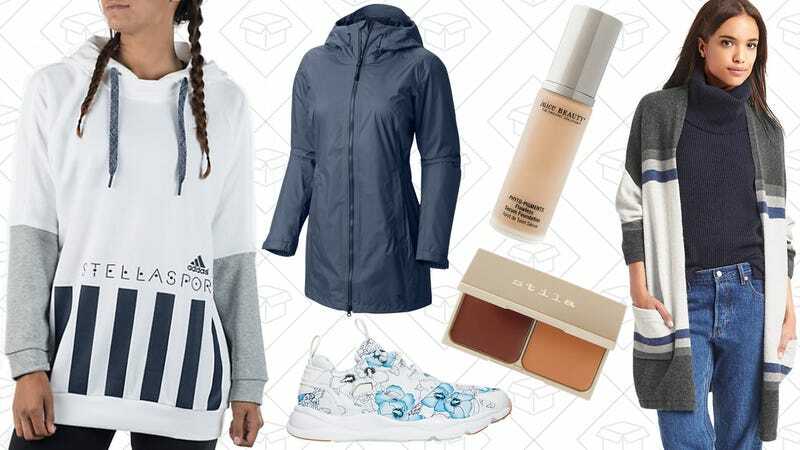 Discounted athleisure galore at Finish Line, 25% off GAP, even more of Ulta’s 21 Days of Beauty, $20 Uniqlo joggers, a Mountain Hardwear sale and more lead Wednesday’s best lifestyle deals. If you were waiting for a sign to jump on the athleisure trend, these $20 joggers from Uniqlo are it. They’re relaxed enough to wear on the weekends with a tee and sneakers, and dressy enough that you could totally get away with wearing them to work without anyone knowing you’re wearing sweatpants. Maybe. The deals switch up every day, so you’ll need to jump on them if they catch your eye. Today’s deals are stila Sculpt & Shade Custom Contour Duo, skyn Iceland Glacial Cleansing Cloths, and juice Beauty PHYTO-PIGMENTS Flawless Serum Foundation. Another day, another J.Crew Factory markdown. This time, get an 40% off select New Arrivals, plus free shipping. Grab a new button-down for $35 or some new chinos for $30.